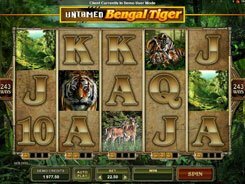 Bush Telegraph is a five-reel fifteen-line slot with fascinating cartoon graphics devoted to an African wildlife theme. 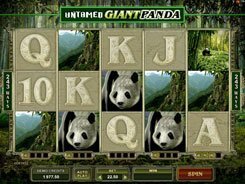 Watch out for exotic birds, toucans, tribal drums and other safari-style symbols that will bring you generous winnings. 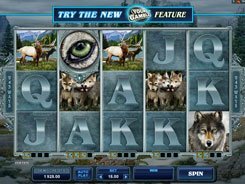 Before spinning the reels, you should place a bet of up to five coins per line. The coin size is configurable in a range of $0.01 through to $1. 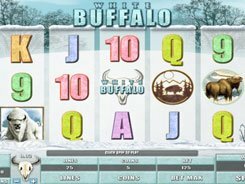 The wild bush is a wild symbol that awards an incredible payout of 7500 coins if five of them hit on any enabled line. Besides, the wild symbol can stand for other symbols, except scatters, thus, helping you create plenty more winning combos. 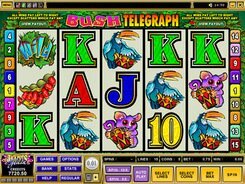 The seedpod symbol serves as a scatter in the Bush Telegraph slot, and 3 or more of these give you ten free games. Bongo drums displayed on reels 2, 3 and 4 simultaneously start the Bongo Bush feature. Pick the bongos that will uncover cash prizes depending on your selection. 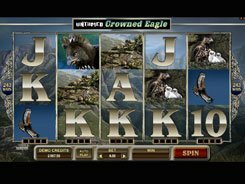 The bonus amount earned during the feature will automatically add to your total game balance.